Turn your inspiration into a story with clear, expert guidance Creative Writing Exercises For Dummies is a step-by-step creative writing course designed to hone your craft, regardless of ability. Written by the founder of the Complete Creative Writing Course at London's Groucho Club, this activity-based guide walks you through the process of developing and writing in a wide range of genres including novels, short stories and creative nonfiction. The book includes writing prompts, exercises, mind maps, flow charts and diagrams designed to get your ideas flowing. You'll get expert guidance into character development, plot structure and prose, plus extensive insight into self-editing and polishing your work. Whether you're a new writer with a seed of an idea you would like to develop, or are looking to strengthen your creative writing skills, this book has you covered. Covering every aspect of narrative, from setting initial goals to formatting a manuscript, Creative Writing Exercises For Dummies provides the tools and instruction you need to make your story the best it can be. Learn to spark your imagination and sketch out ideas Create compelling characters and paint a picture with description Develop your plot and structure and maintain continuity Step back from your work and become your own ruthless editor The rise of e-books has opened up the publishing world, even to non-established writers. 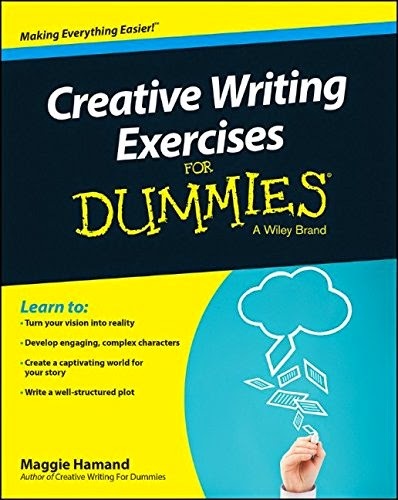 If you have a story you're dying to tell but aren't sure how, Creative Writing Exercises For Dummies is the clear, concise solution you need.